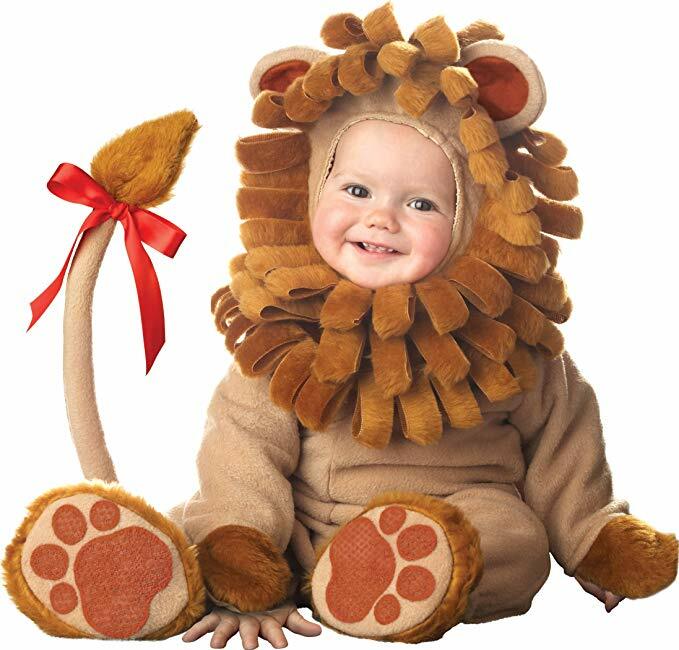 This is a Baby’s Lil’ Lion Costume designed to make your baby look cute and curious on Halloween. This costume includes; character hood with snap/hook-and-loop closure, detachable tail, slip-on booties with skid-resistant bottoms and fully lined jumpsuit with a zipper. However, this baby Halloween costume can’t be used as sleepwear and requires adult supervision. A Halloween Baby’s Lil’ Lion Costume. A fully lined jumpsuit with a zipper design. A character hood with snap/hook-and-loop closure. A detachable tail & slip-on booties with skid-resistant bottoms. Booties are for indoor use only & Adult supervision is recommended. 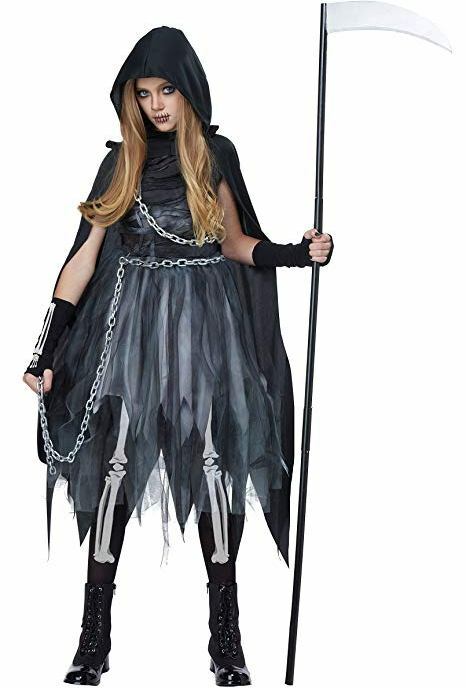 The California Costumes Reaper Girl Child Costume comes as a dress and cape. In fact, this Halloween-costume features a pullover sleeveless dress with jagged hemline, overlays of tulle & knit mesh while its pullover hooded cape is very durable and features a jagged hemline. On top of that, this costume features a drape 6-inch plastic waist chain with a Velcro loop which can be used to secure/tighten the dress while the printed bones on the front can create a real Halloween experience. Lastly, this Halloween-costume is made of 100% polyester fabric & knit mesh coupled with 100% nylon tulle and 90%-nylon, 10%-spandex tight pants. A Halloween Reaper Girl-Child Costume. A Drape 6-inch plastic waist chain with a Velcro loop. Made of 100% polyester fabric & knit mesh & 100% nylon tulle. 90%-nylon & 10%-spandex tights with an elastic-waist & printed bones on front. A Pullover sleeveless dress with a jagged-hemline, overlays of tulle & knit-mesh. The Reach Unisex Lycra Spandex Zentai Halloween Cosplay Costume for boys was designed to make any boy or man look like superman on Halloween. 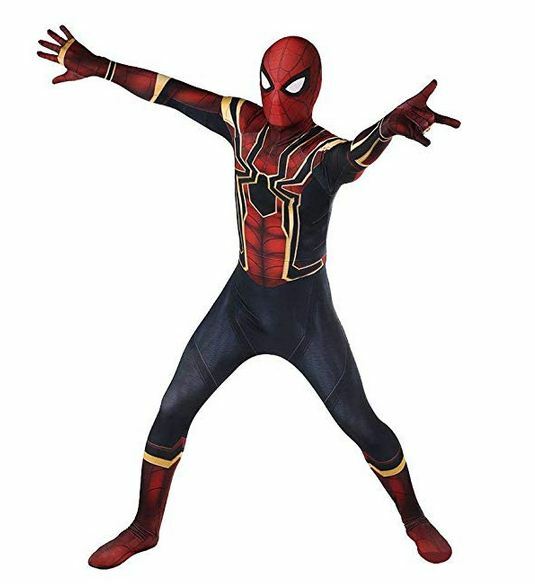 In fact, any little boy would love to get this on Halloween and it’s even made of a 100% high spandex material that is very elastic, comfortable, breathable and durable. A Superhero Homecoming Suit for boys. A Halloween costume for adult and Kids. It features an amazing 3D Style for a realistic look. It’s made of 100% high spandex material that is durable. The DC Comics Deluxe Batgirl is an adult Halloween costume for ladies that features a black mini-dress coupled with an attached cape and yellow bat logo at the chest. 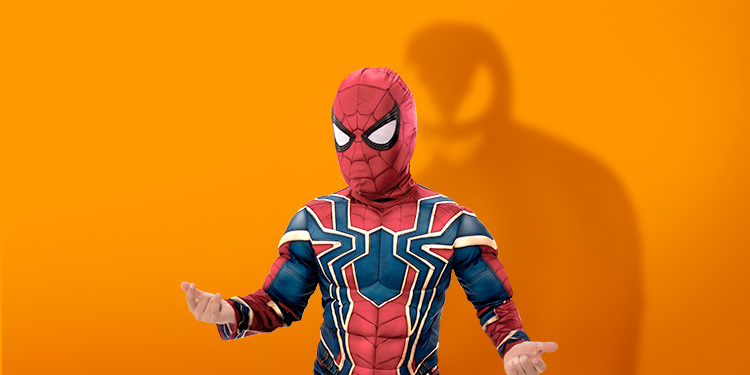 This costume also includes; an eye-mask, yellow vinyl belt, boot-tops and armbands while its 100% Polyester material makes it very durable, elastic and comfortable to wear. All in all, this is the official licensed batgirl costume that will let you stop bad-guys during that Halloween night. A Halloween Batgirl Adult Costume. Made of 100%-Polyester & its hand-washable. It’s available in different sizes so as to meet your body needs. Features a mini-dress, an attached cape & a yellow bat logo at chest. It includes an eye-mask, a yellow vinyl belt, boot-tops and armbands. 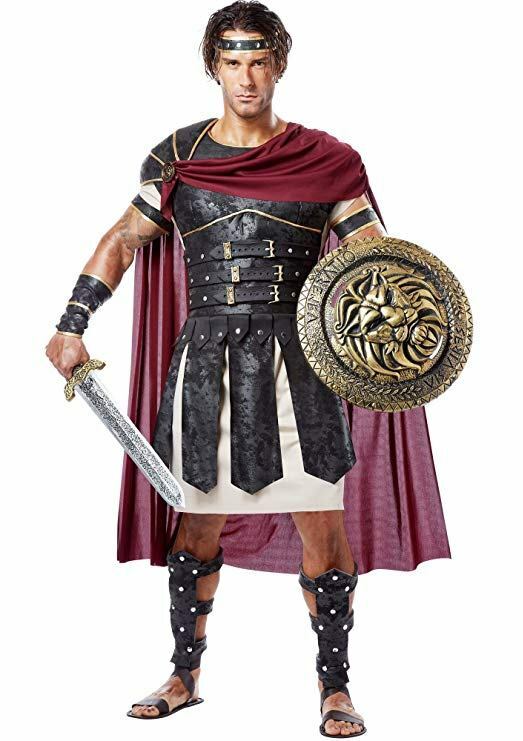 The California Costumes Brave Roman Gladiator Adult Costume is a great Halloween outfit for any man that wants to feel like a real fighter on Halloween. This costume comes with tunic, body armor with an attached belt and cape, a Velcro shoulder guard, a wrist-guard, shin-guards, a headband, armbands and a medallion. Lastly, this Halloween gladiator outfit is made of 100% Polyester and its hand-washable in-order to facilitate for easy cleaning and maintenance. A Brave Roman Gladiator Adult Costume. Made of 100% Polyester & Hand Washable. It available in different sizes & features a Black/Burgundy color. It comes with a tunic & body armor with an attached belt and cape. It comes with a Velcro shoulder guard, wrist-guard, shin-guards, headband, armbands & a medallion. 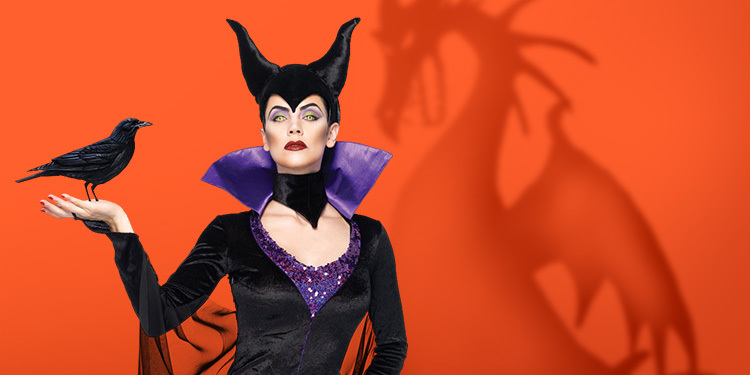 If you have been looking for a perfect outfit to scare out your friends and family on Halloween then you should consider taking a look at these best Halloween costumes of 2019. In fact, this post features Halloween costumes for kids, men and women which implies that you won’t fail to get an outfit that will work for you.